Somewhere beneath the boxes and boxes of crafting supplies, candles and mementos in Mark Steele’s Farmington Hills home was an office. He just needed to find it. But he needed help. The crafting supplies had emotional strings. They belonged to Steele’s late wife, Judith, who died last March after a battle with cancer. 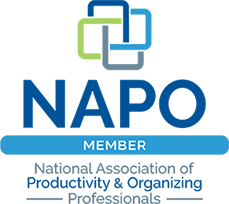 To help sift through it all, Steele, 64, turned to a team of professional organizers from the Michigan chapter of the National Association of Productivity and Organizing Professionals. As the winner of Homestyle’s “Messiest Room” contest late last fall, five organizers worked with Steele earlier this month – January is GO or Get Organized month – to help weed through the clutter, organize the room and convert it back to a functional space. Being organized can save you time and money while giving you a sense of mental calmness in a clutter-free home. And January is national Get Organized month, so what better time to start? Organizing does not have to be overwhelming. Simply start off small. Professionals suggest setting a timer for 15 minutes, and spending that time organizing a small space. “Where you begin organizing depends on what the problem is and what the end goal is,” says Leigh MacCready, a professional organizer and owner of Re-Nest, LLC. For six years she has helped clients reach goals for themselves and their homes. In the month of January when many of us feel the need to get organized, it helps to have some creative storage for a sense of order. Here are some ideas from a few of the professional organizers and interior designers that will be doing seminars at the Novi Home Show, which runs from Jan. 25 – 27. Dwane Adle, FASID AIA, a licensed architect, interior designer and owner of Royal Oak-based Comprehensive Design Group who will also be at the ASID Michigan booth during the show says recycled and upcycled pieces are in fashion. He likes new furniture made from a combination of old locker drawers as well as vintage styles for that eclectic feel in a space. These unique pieces work well in a mudroom, rec room or kid’s bedroom, he says. Can you think of some services that you never considered using or thought they were only for the wealthy? Just a few decades ago, having a cleaning lady was considered a luxury and hiring a personal trainer was for Hollywood stars or athletes. But now these services are being used by people at all different income levels. Another service industry on the rise is professional organizing. 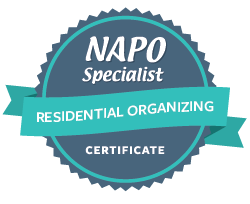 Hiring the skills of a professional organizer makes sense if you are looking to improve organization and productivity in your life – either in your home, workspace or both.